In August, Sony Pictures Classics will release yet another anticipated movie adaptation based on the novel by Shannon Hale. Directed and written by Jerusha Hess, Austenland stars Keri Russell, JJ Feild, Jennifer Coolidge, Bret McKenzie and Georgia King. This hilariously touching and inspiring movie is produced by The Twilight Saga's Stephenie Meyer. The movie premiered during the 2013 Sundance Film Festival, which earned some heartwarming and positive reviews and comments from the viewers. The movie recently unveiled its official website and new goodies were released including some new movie stills. Checkout these 16 official movie stills released in official Austenland website. Austenland is a romantic comedy about 30-something, single Jane Hayes, a seemingly normal young woman with a secret: her obsession with Mr. Darcy—as played by Colin Firth in the BBC adaptation of Pride and Prejudice—is ruining her love life; no real man can compare. But when she decides to spend her life savings on a trip to an English resort catering to Austen-crazed women, Jane’s fantasies of meeting the perfect Regency-era gentleman suddenly become more real than she ever could have imagined. No more about Austenland movie by visiting its official website. 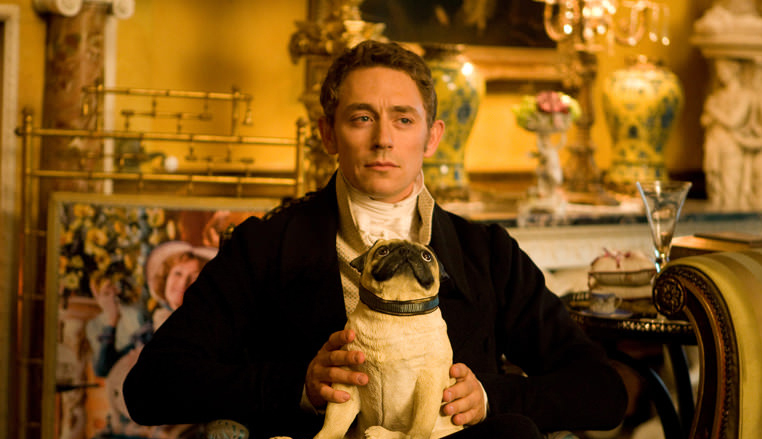 Austenland will hit theaters on August 16, 2013.